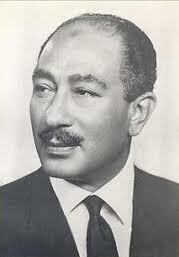 Anwar Sadat replaced the former leader, Nasser. He kicks out the Soviet advisors in the region in 1972 because he felt that they should not align with the atheist Soviets. He was in charge of planning the Yom Kippur war in 1973 but even though he started a war he won a nobel peace prize later on for being part of the Camp David Accords.